This relationship is primarily about physical attraction. 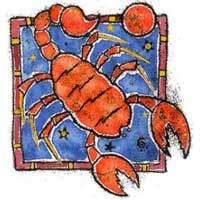 Scorpio will stimulate that part of you that is related to travel, adventure, variety, children, speculation, and love. Do not play with him, and accept the fact that you are simply attracted to Scorpio. Try not to rationalize, nor to interpret the wrong chemistry between you. Even if it existed, do not imagine that you will live happily ever after. That depends on how your signs combine - normally the two Signs are in total harmony. You have to be the responsive one, while Scorpio will be the dominant factor. If you want the attraction to augment, be wise when you make a decision. Pluto and the Moon symbolize physical warmth. It's a strong relationship. Also, Scorpios are great around children. 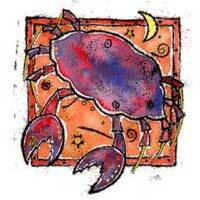 If you cannot stand the heat, do not get involved with a Scorpio.